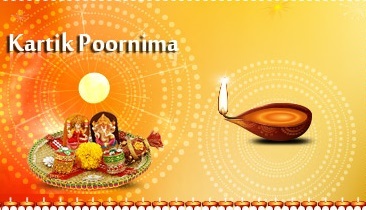 Kartika Poornima has special importance. It has equal importance in Shaiv and Vaishnav community. On this day, lord Shiva killed devil Tripurashur and lord Vishnu take birth as Matshya. Gurunanak dev born on this day. Therefore, it is known as light and idol festival. There is special importance of taking bath and in auspicious river donate light. You can worship six Krutika on this day. You have to worship six Krutika at night. You can get progeny mercy on this day. You have to worship Shiva, Sambhuit, Santati, Preeti, Anushuya and Kshama. You have to donate cow, bullock, horse or ghee after that. You have to worship Krutika for children and prosperity. Lord Shiva killed Tripurashur on this day. Therefore, it is called as Tripuri poornima. You can get desire results by worshiping lord Shiva. You can get Shiva position if you do fast, worship lord Shiva and donate bullock on this day. Shiva is aadi idol. You should wake up whole night on this day. You’ll get an idol. You can also worship lord Shiva to atonement and mistakes. Lord Vishnu born as Matshya avatar. Therefore, you can also donate Kshirsagar. It is believed that you can get good health and prosperity by donating Kshirsagar. Take vessel and filled it with milk. Keep gold or silver small fish in it. Donate this vessel along with fish to any Brahmin or any poor person. You should take bath from auspicious river water. After that, you should light lamp near river. There is no relation with Diwali. You can get rid from any problems by lighting lamp near river on Kartik Poornima. Remedy: You should do meditation on Full moon day. You wonderfully feel the god.